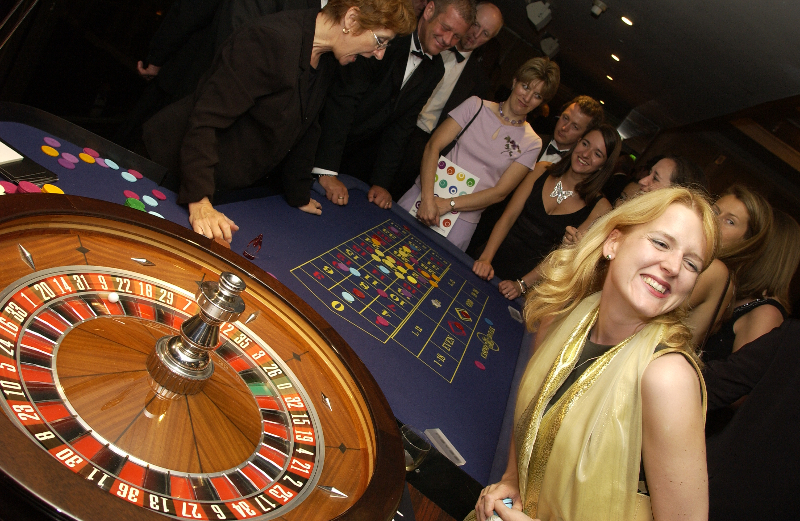 Our Casino themed evenings are a great way for your business to celebrate and entertain without breaking the bank! 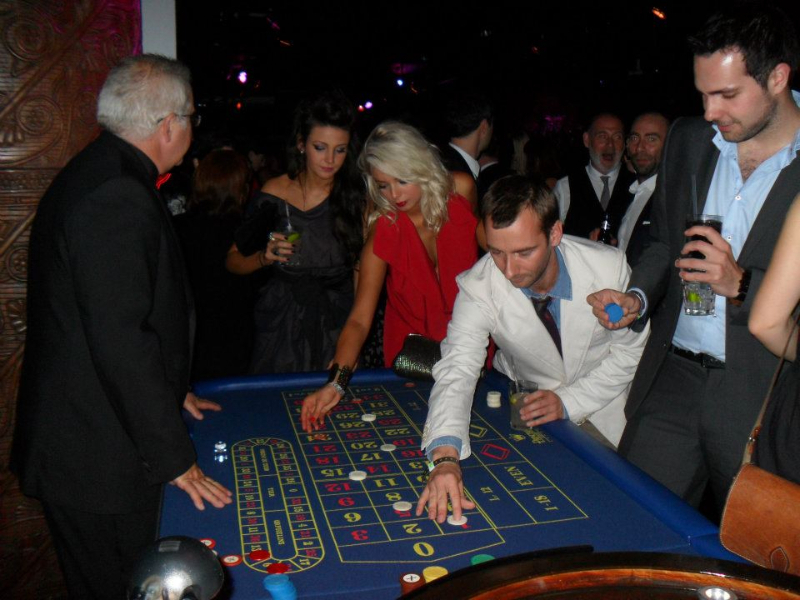 Whether you’re looking for an unusual talking point at your product launch, an ice-breaker for your delegates after a conference or business meeting, or just a great team-building event, we’ve found our Fun Casino is very popular with offices and large groups of clients, providing fantastic interactive entertainment which can be enjoyed by everyone – from office junior to Finance Director. 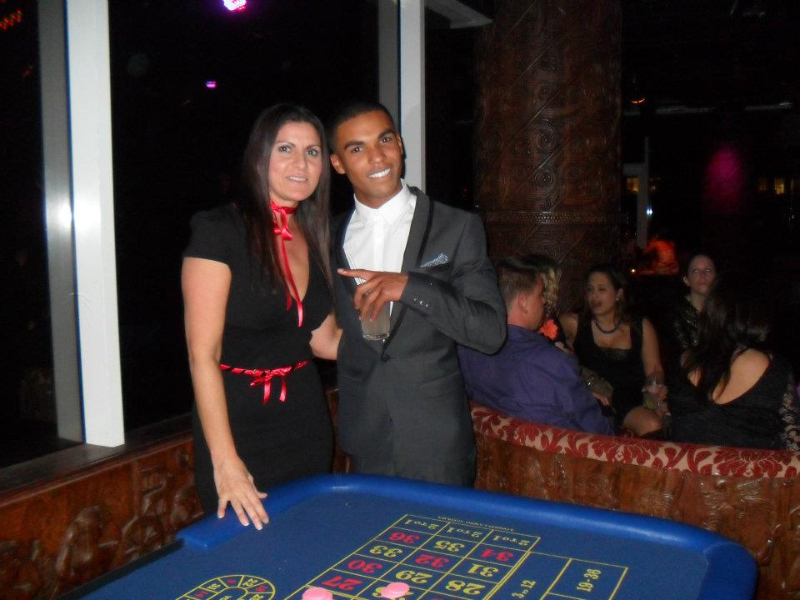 “Thank you for the lovely evening you guys set up for us. 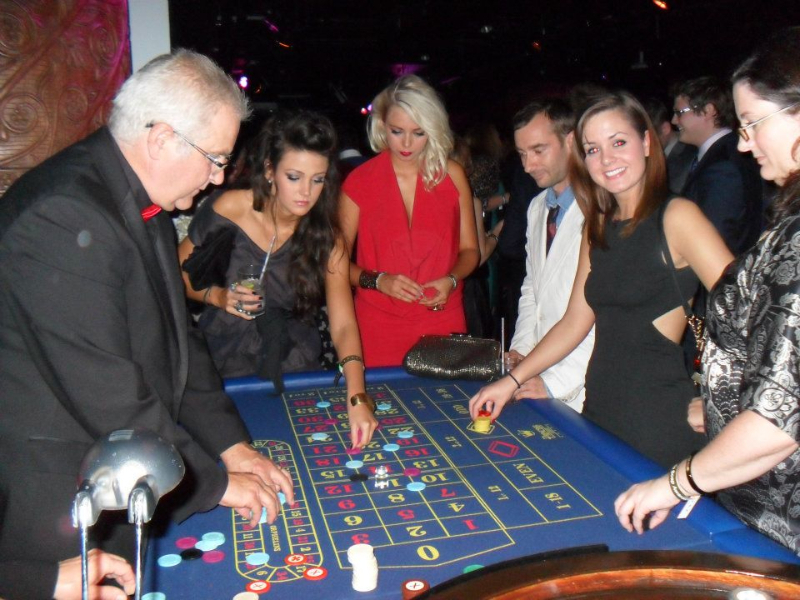 Everyone had a fabulous time – all of your staff were lovely and incredibly helpful and really made the night, it was a real success. Thank you from everyone here and especially me for helping take away the stress of setting up a work event” – Kurt Stuhllemmer, Hall and Partners. 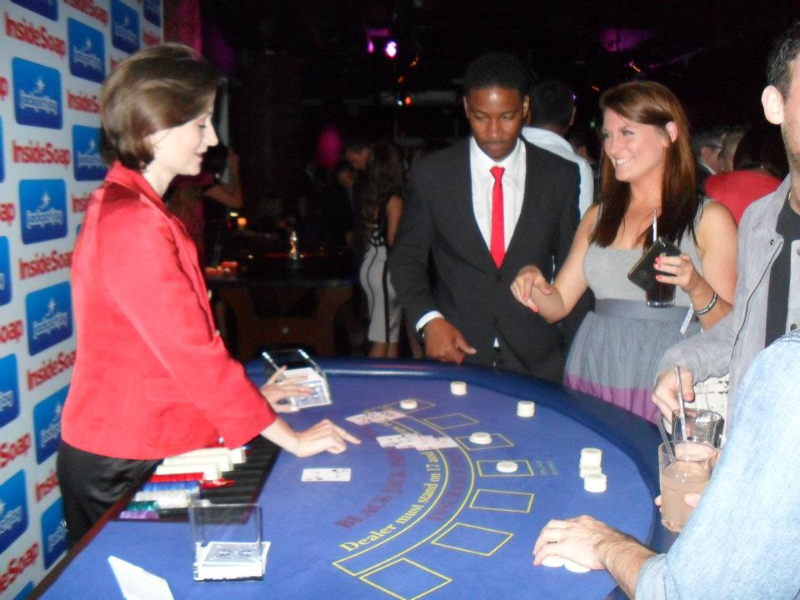 We offer a wide variety of games, all with our authentic and distinctive blue gaming full size casino tables and a hand-picked team of friendly, professional croupiers who have worked in casinos all over the world. We’re more than happy to sit down with you and plan the best solution for your event: get in touch to discuss your specific requirements. 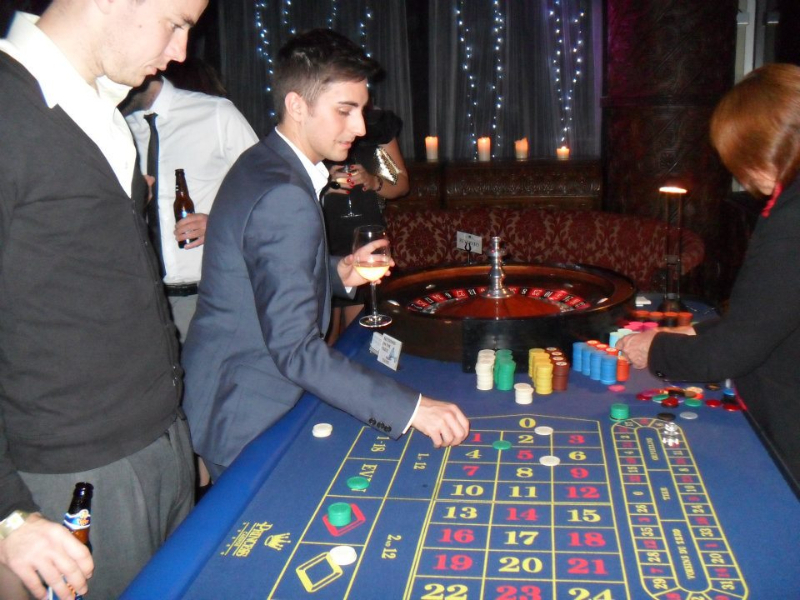 Or for more detailed information about some of our packages and how our Casino can add some Vegas-style glamour and sparkle to your event, have a look at our Casino Nights page. 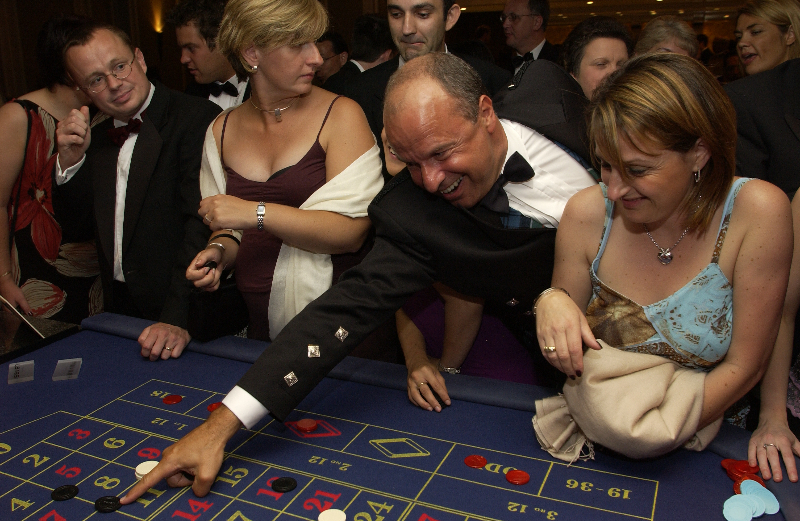 “Just wanted to say a big thank you for you and the team last night with the gaming tables. The event was a big success and we have had lots of positive comments this morning about the evening. The two buildings here at Greenford really have a great buzz today of people talking about the event. It was a pleasure doing business with you and I am sure it won’t be for the last time” – Christine Gray, Tetley.